MOSCOW, August 9. /TASS/. 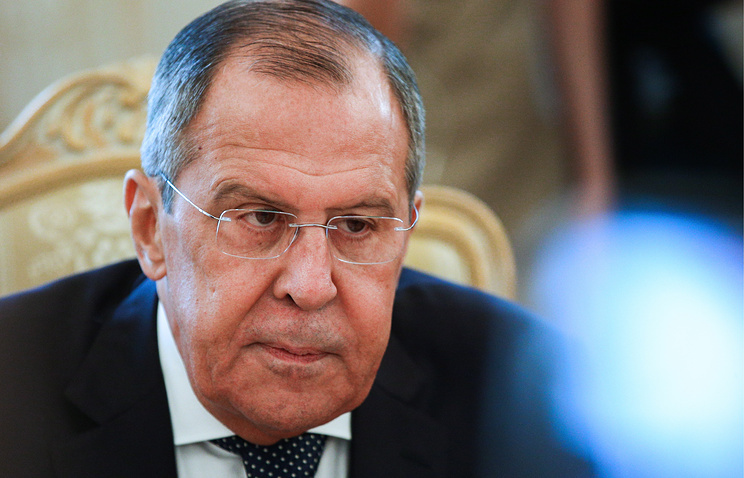 Russian Foreign Minister Sergey Lavrov is expected to visit Ankara on August 13-14 to take part in a conference of Turkey’s ambassadors and permanent representatives, the Russian Foreign Ministry’s official spokesperson Maria Zakharova told a news briefing on Thursday. "Foreign Minister Sergei Lavrov will visit Turkey on August 13-14 at the invitation of the country’s Foreign Minister [Mevlut Cavusoglu]," she said. "He will take part in a conference of Turkish ambassadors and permanent representatives at international organizations." "He will address the ambassadorial conference and will have talks with Turkish Foreign Minister," Zakharova said. "The two sides will give the main focus to the pressing issues on the international agenda - the status of the efforts to untangle the Syrian conflict, peace settlement in the Middle East, South Caucasus, Central Asia, Ukraine, and the Black Sea littoral region," she went on. "The ministers will also review the agenda for bilateral economic ties with an emphasis on monitoring of key projects in the energy sphere, including construction of the Turkish Stream gas pipeline, construction of the Akkuyu nuclear power plant - the first one in Turkey, and expansion of bilateral ties in new areas," Zakharova said. In addition to it, Lavrov and Chavusoglu hope to ponder a schedule for bilateral contacts at various levels.